LinkedIn is the best universal and professional social networking channel available. If you think about social media marketing, what channels do you think of first? Is it Facebook and Twitter? LinkedIn is becoming more popular everyday and has over 100 million members and it is purely designed for business. LinkedIn increases your chances of networking with the right people. If you want to grow your business and reputation online, consider using LinkedIn in your strategy. To harness the power of LinkedIn, you need to build up your network of connections on this social media channel. Here are a couple of tips to expand your network on LinkedIn. Profile: Spend some time build up your profile to be 100% complete. This is how people are going to find and network with you. The more information about you that you include in your profile such as positions you held, the more searchable your profile will be and the greater the chance of making a real connection will be. Also, upload a photo of yourself to your profile. Own URL: As part of the personal branding of LinkedIn, you can setup your own dedicated profile domain URL. You can include your actual name in your profile. You can use this URL in your email signatures, business cards and even your blog. Network: Find your friends on LinkedIn to start building up your initial network. Also include your clients, classmates, coworkers and even vendors. Use the tools on LinkedIn to connect with people from your Gmail address book as well as the contacts found on Outlook. Try to invite people you know. Expand: As you add new people to your network, view their connections to see who you know that they know. Invite these people to your own network. 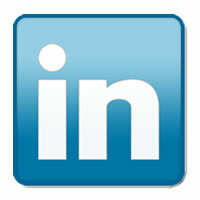 Invite: Each time you meet someone new and you receive their business card, have a look to see if they are on LinkedIn. If they are, invite them to become part of your network. With this you accomplish three things, it reminds them of your meeting, it expands your network, and it shows that you are interested in them. Your LinkedIn profile can act as your professional online business card. Your profile on LinkedIn will help you find former colleagues, partners and clients. Spend some time searching for contacts on a regular basis to grow your network and to keep it fresh.